23 Years Ago the US Backed a Brutal Croatian Ethnic Cleansing of Serbs. If there was a nation that could safely conclude from its own historical experience that “Crime Pays”, than it must be the newest EU member, Croatia. 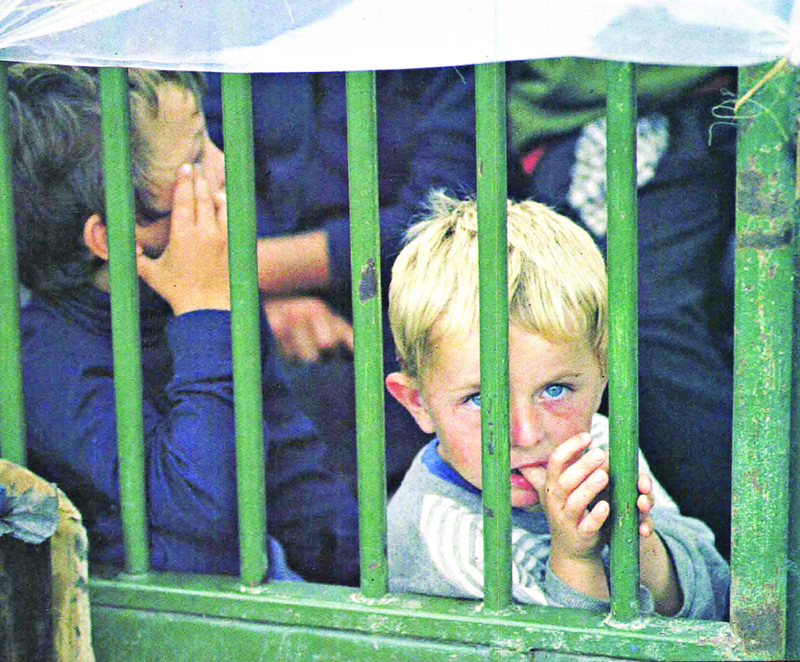 In the modern history this tiny Catholic nation committed one of the most horrific genocides in WWII over Serbian Orthodox Christian population residing in Croatia and Bosnia, murdering at least one million people; and recently in 1995, Croatia conducted (under US supervision) the biggest and permanent ethnic cleansing “military operation” against its (again) Serbian population, expelling over 200,000 of them in just three days (the real number of ethnically cleansed Serbs from Croatia during the wars in 90ies, is at least twice larger)- unofficially becoming the most ethnic cleanse European state. If you believe, that Croats “en masse”, would be ashamed of such reputation, then you are dead wrong. Actually most of them are very proud, and for the last 23 years they are celebrating it very loudly, and doing everything in their power to prevent (after being pressured by the international community) the return of hundreds of thousands of Serbs to their ancient land, and to avoid returning of their stolen property, mostly (real estates, farm lands, etc.). Of course, if would be unreasonable, for this evident and well documented war crimes, and crimes against humanity, to blame only Croats. If their hands are soaked in the blood, of innocent Serbian civilians, up to their arms, then the hands of their Western sponsors (namely USA and Germany) are soaked in the blood at least up to their elbows. Simply Croats would never get away with “such perfect crime”, if they were not backed, in every possible way, by their American and German sponsors. This week will mark 22 years, since on August 4th 1995, Croatia lunched so called military-police operation, named Storm, against Serb’ held and controlled Krajina region. Croats backed by US military-logistic & air support, CIA intelligence drone reconnaissance, and open political support from Washington, completed their “operation” in just three days. On August 7th they declared “victory”. Their “victory resulted”: in a complete ethnic cleansing of Krajina region, and a murder of at least 2,000 Serbs; vast majority of them were defenseless civilians. Official sources claim that: 1,192 Serbian civilians were killed or missing, and around 200,000 thousands (entire Krajina population) were expelled from their ancient land. 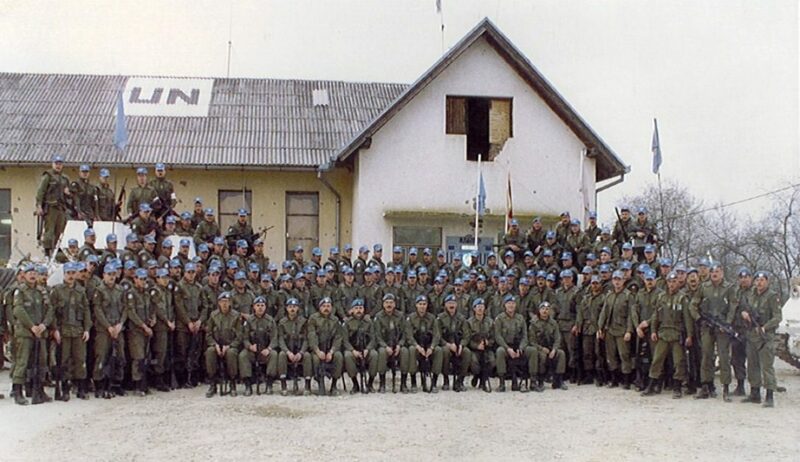 Their property was destroyed, looted and stolen, by the Croatian “soldiers” (who performed this “operation” under direct Washington’ supervision, while UNPROFOR peacekeepers assigned for the protection of UN designated “Krajina Safe Zone” just stood by, doing almost nothing to prevent the slaughter). When the Clinton’ government, together with their major European allies, decided in 90ies, that the best American interest in the Balkans will be to back armed rebellion of the separatist administrative regions in Western Yugoslavia, and openly support the breakup of, internationally recognized, Federal Republic of Yugoslavia, while it was still the UN member, they consciously opened the Pandora box. They openly sided politically & militarily with Slovenian and Croatian Catholics from the Western Yugoslavian Republics, and with Islamic fundamentalists from Bosnia, in their civil and religious wars against Orthodox Christian Serbs living outside, then administrative Republic of Serbia (and later in 1999, US & NATO started another illegal war against Serbia, on behalf of Islamic Albanian separatists from Kosovo, ultimately “stealing” this Southern Serbian province). Croatian and Bosnian Serbs, who simply wanted to remain in their Federal Republic of Yugoslavia, and not to be “taken away” by Catholic and Islamic separatists, and not to be stripped of their constitutional rights, under existing Yugoslavian laws, naturally rebelled against such illegal and violent Yugoslavian outcome, and they subsequently declared own autonomy within the Yugoslavian separatist’ regions. The historical roots of such American approach, could be found in the Western (mainly British and American) support of “Anti-Stalin” communist leader of post-WWII Yugoslavia Marshal Josip Broz Tito (who was Croat himself), who provided Western leaders with assurances that he will, not only keep Yugoslavia outside the Soviet bloc, but he would align militarily his country with NATO alliance as well; and later in Reagan’ presidential directive NSDD133, from 1984, which outlined US strategic interest to expand its military presence to Yugoslavia. THEY ARE KILLING “LITTLE RUSSIANS” TOO, AREN’T THEY…? The “only” obstacle to this US (read NATO) expansionist policy in the former Yugoslavia, was Serbian (majority) population, which was, due to its traditional friendship with Russia, considered as “problematic” and had to be decimated, “broken into pieces”, and Republic of Serbia to be disabled as an independent state, during so called “spontaneous” civil wars in 90s. …And if we are familiar with the popular saying among Western diplomats, that “Serbs are Little Russians”, then is not difficult to put two and two together, and understand their desire to “disable” any Russian-friendly nation in the region. Western controlled ICTY (International Crime Tribunal for Yugoslavia) reluctantly brought charges for war crimes and ethnic cleansing, against (war time) ultra-nationalistic Croatian leadership and group of its generals. 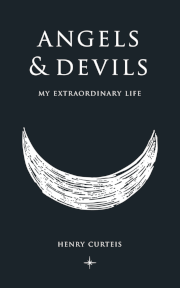 But in the wake of overwhelming evidence and international outcry, they had little choice. In 2001 ICTY brought charges for war crimes against Croatian president general Franjo Tudjman (who will be remembered for publically saying “that he was very proud that his wife was neither Jew or Serb”), Croatian defence minister Gojko Susak (prior to war- open Neo-Nazi ideologist), and two other former (renegade) Yugoslav Army generals, (promoted into supreme commanders of Croatian army) Janko Bobetko and Zvonimir Cermenko. Their indictment was actually travesty of justice, because at the time they were charged, all of them (with exception of General Janko Bobetko), were already dead (by natural cause). General Bobetko died one year after indictment, before he could be delivered to ICTY. When the indictment of Croatian generals Ante Gotovina, Ivan Cermak and Mladen Markac, for their war crimes and ethnic cleansing of Croatian Serbs in Krajina, during “operation” Storm in 1995, was announced in 2008- Serbs who survived US sponsored pogrom and ethnic cleansing, were naively hoping that at last some justice will be served. Even, with such unprecedented obstruction of ICTY by Croatian government, Catholic Church and wider Croatian society, who concealed and destroyed many war documents, facilitated escape and concealment of indicted Croatian war criminals, and intimidated not only victims and witnesses, but ICTY leadership as well- the trial of those three Croatian generals came to conclusion in 2011, and after the overwhelming evidence (the evidence, Croats were not able to conceal or destroy), Gotovina was sentenced to 24 years, Markac to 18 years, while Cermak was acquitted. 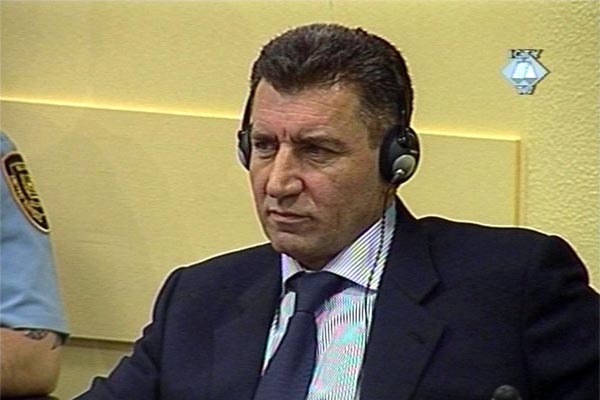 In 2012, ICTY appeal chamber overturned the decision of lower chamber, and unconditionally acquitted Croatian war criminals Gotovina and Markac for all crimes. Entire Croatia and its diaspora erupted in joy and massive celebration. Even, after the ICTY had proved (from the audio and written transcript of Croatian war leadership meeting in July 1995) – that there was very credible evidence of existence of a joint criminal enterprise, with intent to forcibly remove ethnic Serbs from Croatia, and that civilian areas in Krajina, including the subsequent civilian refugee columns, were indiscriminately shelled by Croatian artillery, and bombed & machine gunned by Croatian air-force – that did not prevent the real ICTY masters to pervert the course of justice. 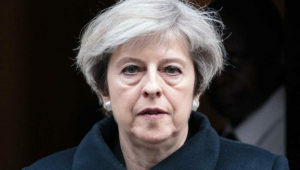 One would wander who and what was behind such obvious and embarrassing justice travesty, demonstrated in this example. What had forced American controllers of ICTY to change their mind, and influence the tribunal to free of any charges, these obvious and heavy documented, war criminals? Just remember that at that time, US government offered $5 million reward for the capture of war criminal Ante Gotovina, making him the ICTY most wanted man. 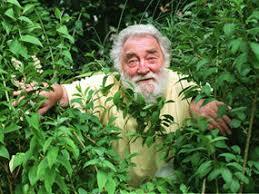 He was at that time sheltered by Croatian government, and through the notorious Vatican’ “Rat Channels”, that were used at the end of WWII to facilitate the escape of Nazis, he was hidden (among the other Croatian war criminals) in a Catholic monastery, to be smuggled to Tenerife, where he was eventually captured by the Spanish police, in 2005. US Security Council, on August 10th 1995 issued “post-mortem” (when ethnic cleansing of Serbs was already completed) resolution #1009, demanding from Croatia to halt military operation, and condemning targeting of UN peacekeepers (during the operation Storm, Croats had killed three UN soldiers) – but UNSC failed to request a withdrawal of the Croatian forces, and de-facto accepted new “ethnically cleanse” reality!? 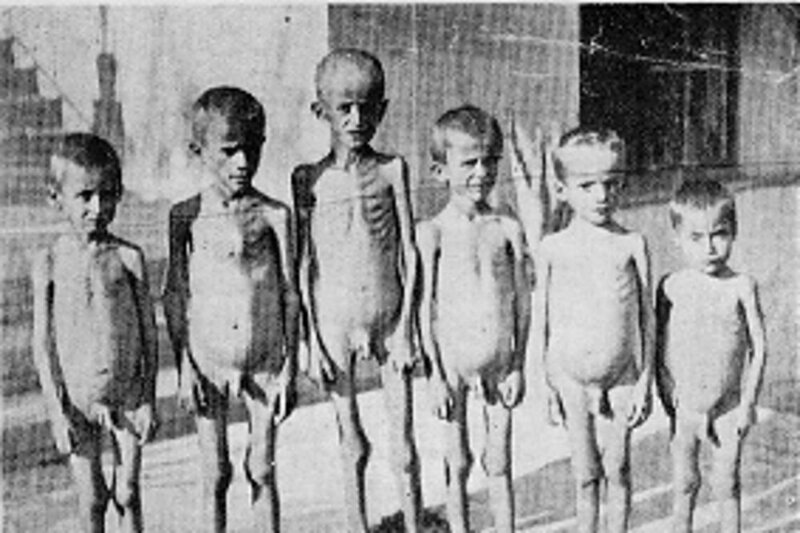 The only UN official, who was fully aware of the horrific aspect of this US sponsored “operation”, and who was trying to prevent further Croatian atrocities against Serbian population, was, at that time, the Head of UN mission in Yugoslavia, Thorvald Stoltenberg, who urged UN Secretary Yasushi Akashi to request NATO strikes against Croatian army, to prevent further atrocities against civilians. 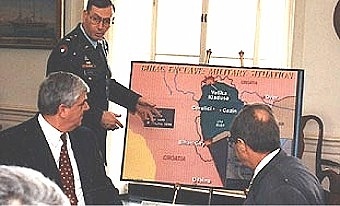 Of course, that never happened, especially if we know that Croatian operation Storm, was directly supervised by the retired US generals (via Pentagon military contractor MPRI), while US Air Force conducted air raids against Serbian Air Defense systems in Krajina, and CIA officers operated surveillance drones, which provided intelligence for advancing Croatian troops, from two Croatian bases in Adriatic. Even, EU negotiator Carl Bildt, and US ambassador in Croatia Peter Galbraith, publically condemned Croatian atrocities in Krajina- but they too stayed short of requesting some concrete and punitive measures. 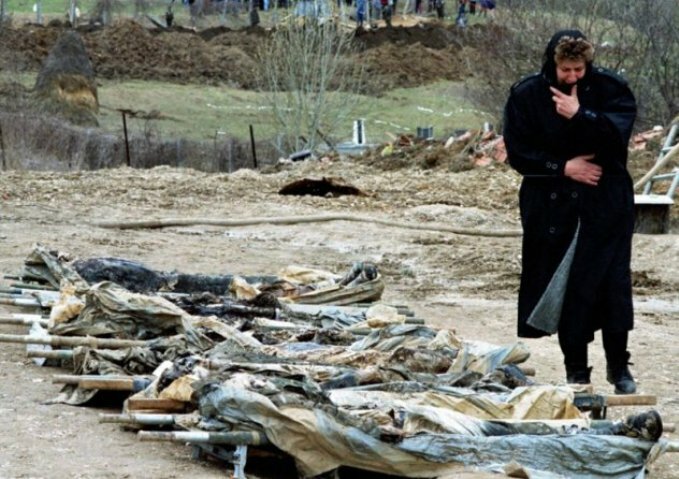 While ICTY prosecutors accepted the fact that some 200,000 Serbs were ethnically cleansed in just couple of days from Krajina region, they “lowered” the number of murdered Serbian civilians to 324. 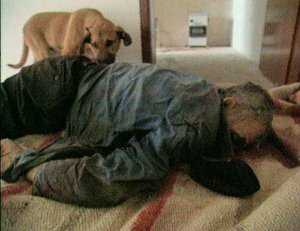 Serbian sources on the ground documented 1,192 dead or missing civilians, while Croatian Helsinki Committee documented 677 killed. 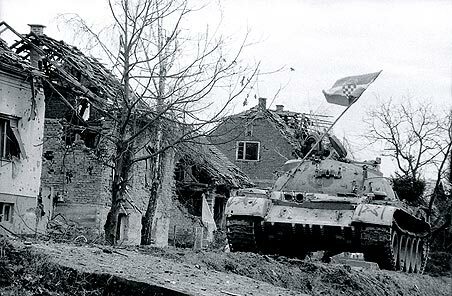 Human Rights Watch documented at least 5,000 Serbian homes razed to the ground by Croatian forces, and HRW accused Croats for summary executions of elderly and disabled Serbs, who stayed behind due to inability or unwillingness to leave their homes. We can only imagine if the entire defenseless Serbian civilian population stayed behind, and faced bloody-thirsty Croatian soldiers- in that case we would be talking here about a full scale genocide, not “just” the ethnic cleansing!? By 2012, Croatian government received 6,390 reports about committed war crimes against Serbian civilians, during and after operation Storm, but did little or nothing to bring the perpetrators to justice. To make things worse and more humiliating for surviving Krajina Serbs, Croatian government is still refusing to return (or reimburse) 140,000 Serbian homes, stolen from ethnic Serbs. 795 Serbs, presumed dead, are still missing, 1,604 bodies were retrieved- according to NGO “Veritas”. DID THE CROATS SUCCESSFULLY BLACKMAIL U.S. GOVERNMENT INTO SUBMISSION, FORCING THEM TO OVERTURN THE INITIAL ICTY RULING!? …So, when in November 2012 ICTY appeal chamber ruled that Croatian generals are innocent of all charges and free to go, the news came to many as a complete shock, and reaffirmed them in a belief that ICTY tribunal is just another NATO war tool, in their efforts to punish and humiliate, not only the Serbian government, but the numerous Serbian victims of civil wars in 90ies, whose executors were never (and probably never will be) brought to justice. The ruling was very controversial, not only because it ignored all the hard evidence, including the forensics and the testimony of the international observers, but because the formal excuse for the liberating judgment was – that in the prosecutor documents were missing the Croatian artillery log books, that according to the Appeal chamber, were the only document that would prove the Croatian intent to drive Serbian population from Krajina. The same books were previously repeatedly requested by the ICTY prosecutors, and Croatia did not even deny its existence, but simply refused to cooperate with ICTY and hand them over. Finally, when in 2008 Croatia was warned by European leaders that non-cooperation with ICTY might affect the prospect of its EU membership – somebody from the Croatian leadership simply destroyed these books, and they informed Hague tribunal that Artillery logs no longer exist. Even such provocative and blunt obstruction of the international justice by the Croatian government, did not result in any repercussions for them, and practically they were forgiven for their deeds. 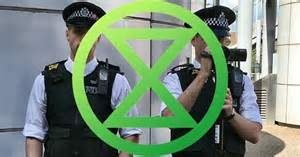 Crime pays – doesn’t it? Anyway, ICTY tribunal had plenty of other evidence, proving the intentional destruction of Serbian civilian infrastructure was very well documented by the international observers, and in April 2011 ICTY had no choice but to sentence general Gotovina to 24 years, and general Markac to 18 years. 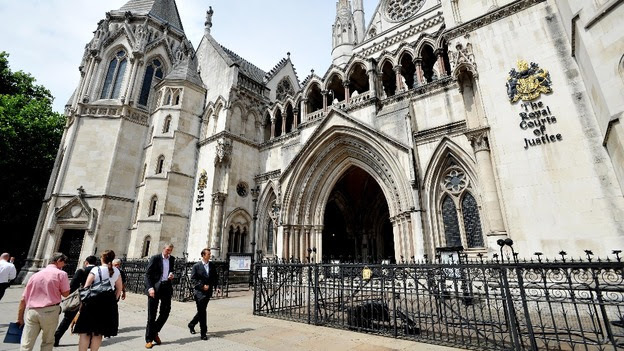 Another fact that indicates that Appeal chamber’ ruling was the political one, and result of some external interference was its split decision – the chamber ruled by the majority decision 3 – 2, implying that there were serious doubts and disagreements, by at least two of the Appeal chamber judges. “American concern is that if General Gotovina is arrested he may carry out a threat to disclose previously unknown extent of US covert involvement in the Krajina offensive…” – London Times, June 14th, 2003. As soon the ICTY indictments against Croatian leaders were announced in 2001, the Croatian government, NGOs, public, and very well organized and connected diaspora, displayed anger and disagreement, promising that they will do everything in their power to obstruct ICTY investigations and prevent trials against their “national heroes”. When in 2011, the first instance judgment by ICTY was issued and Croatian generals were sentenced to long term imprisonment, the Croatian Prime Minister Jadranka Kosor and President Ivo Josipovic publicly expressed their shock and rejection of the ruling, promising to help to overturn the judgment, on appeal!? If you read carefully through this CWC statement (threat), they are not even trying to deny Gotovina’ war crimes, they are just implying bluntly, that if their lovely General was sentenced, they would gladly provide ICTY with the evidence of Croatian-American “Joint criminal enterprise to forcibly remove the Serb population from Croatia…”, as it states the ICTY indictment from 2001, of course omitting the US participation (which was the very secret deal, at least until Croatian officials started “mouthing” their “American friends”). We are not going here to present detailed evidence of US crimes, committed during the operation Storm. 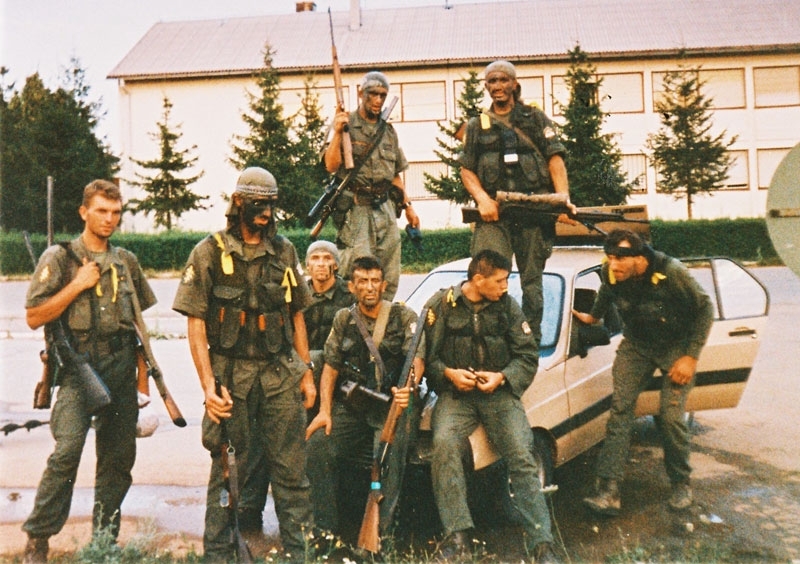 Of course, the Croatian war crimes on the ground were very brutal, systematic and savage, they did “the physical work”, but from the evidence provided by numerous Croatian officials and their organizations, it is very obvious, that operation Storm would never happen, or if happened never would be successful, without US military support and direct supervision, or without US approval. The Green Light for the operation came a couple days prior the assault- President Clinton passed the order directly to US military attaché in Zagreb Colonel Richard Herrick; Herrick passed order to Croatian head of military intelligence Markica Rebic (the others involved directly were defense minister Gojko Susak, Miro Tudjman and Miro Medimurac, heads of Secret Service and Intelligence Service). US masters were so pleased with Rebic’ service, that they rewarded him with Meritorious Service Medal, delivered to him by Ambassador Galbraith in 1996. The other people from USG involved in this joint criminal enterprise with Croats, in addition to Clinton, were Anthony Lake and William Perry. 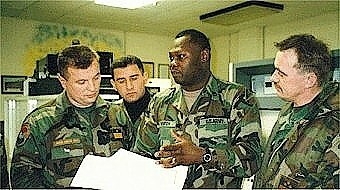 US masters imposed the time limit on operation Storm- it had to be completed in 5 days. 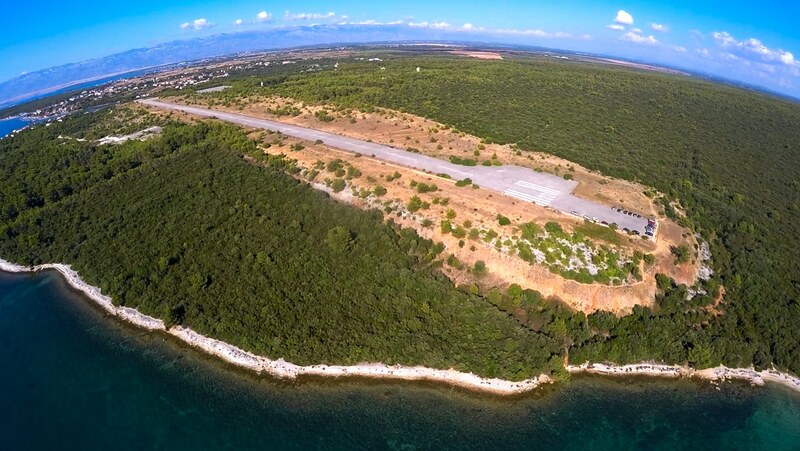 Long before the Storm, in 1992 USG with Croatian approval established CIA reconnaissance base on island of Brac, from where CIA operators were flying unmanned aircraft spying on Serbian positions in Krajina, Bosnia and part of Serbia itself. USG requested that this cooperation to be held a top secret, so outsiders don’t find that US is taking sides in the Balkans’ civil wars. But it did not stay for too long the top secret. 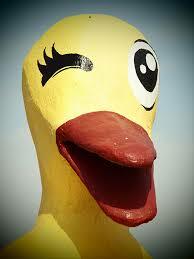 On January 1st, 1994, Croatian state security apprehended a spy on the base perimeter. They delivered him right away to General Gotovina, to find out it was their German ally, precisely it was German military attaché Hans Schwan. This incident alerted USG, which wanted to conceal any covert activities on behalf of CG, so they promptly removed CIA base to new secret location, in Sepurina, near city of Zadar. This new location was covered by three security layers, to ensure the full secrecy. From new base CIA started immediately collecting photographic and video evidence of Serbian activities in Krajina and Bosnia, and passing them to Croats, and to Pentagon. 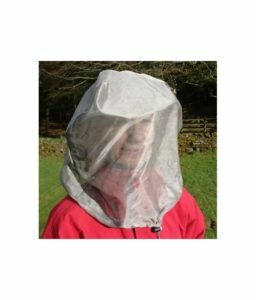 There was 24 hours, 6 member intelligence crew, present on site- consisting of three CIA and three Croatian military officers. It is interesting that disgruntled (by ICTY indictment) Croatian Officials and Croatian World Congress body, in their complaint to ICTY, are providing the evidence about USG intelligence and logistical support for another Croatian genocidal operation, named Flash, that took place in Western Slavonia, between May 1st and 3rd, 1995, which resulted in another complete ethnic cleansing of Serbian population- prior to the operation this area was populated by 29,000 Serbs, after Flash, only 1,500 remained. 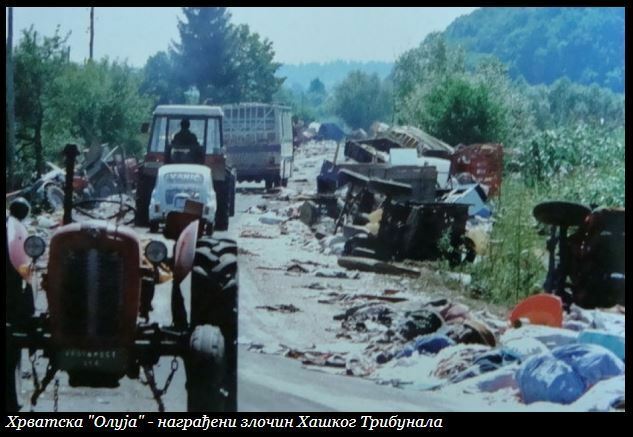 The number of killed civilians is unknown because Croats prevented UNPROFOR troops from accessing the area, until they did “the sanitation” (read: removing the evidence of their crimes, because entire Serbian refugee columns were massacred and overran by Croatian tanks). Estimates of killed civilians rage between one hundred to couple thousands. 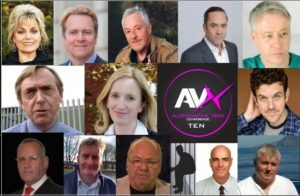 Another example of “the successful US-CRO joint criminal enterprise”? 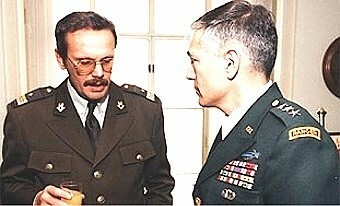 The interesting details, revealed here by Croatian sources, is- that US military attaché Herrick was attached to the Croatian mobile military command, during the genocidal operation Flash, supervising it directly- and the head of CIA branch in Zagreb Marc Kelton was directly coordinating expulsion of Slavonia’ Serbs, with Croatian president Tudjman son Miro. In the eve of the attack on Krajina, on August 4th 1995, between midnight and 4 a.m. Croatian forces were ordered to turn off all telecommunication devices, to unable US air force to electronically disable all Serbian communications. According to NATO spokesman Jim Mitchell in Aviano, Italy, two US military planes EA-6B Prowlers were dispatched to Krajina air space. USAF planes, on the top of jamming Serbian telecommunications, destroyed the airport Udbine, and Radar and Serbian Air Defense near Knin, in order to prevent any Serbian air support or defence, against invading Croatian forces. 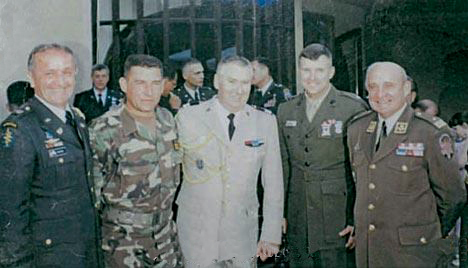 Here, US military attaché Herrick was replaced by the Colonel John Sadler, who was embedded with Gotovina command unit, directly supervising operation Storm. Pentagon was also directly monitoring the operation via live video feed.